Are you curious what the organisers of the Top SUs of 2013 plan for 2014? The Golden Times asked the antennae that organised the three highest-rated SUs. Read what AEGEE-Catania, AEGEE-Helsinki and AEGEE-Firenze offer you this summer. What’s the title of your SU in 2014? Are you organising it with another antenna? What’s the main topic and the main highlights? Creativity and divergent thinking as way to express your originality, unicity and inner ideas. AEGEE-Catania is inviting you to discover the exquisite beauty of Sicily, uncover the mysteries of its nature, dance the night away on the beautiful beaches, and exclusive clubs, swim in the crystal clear sea, and discover the treasure that is in you! 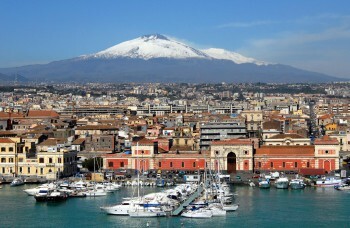 We will visit: Taormina (see photo on the top), Aci castello, Acitrezza, Etna, Catania and maybe other cities. How can interested people find out more? Are you organising it with another antenna? If yes, which? What are the three main highlights? We will have plenty of inspirational speakers, Nordic summer is something to experience and a weekend at dreamlike lakeside cottage is something you will never forget. By the way, we just decided to travel also to Stockholm. 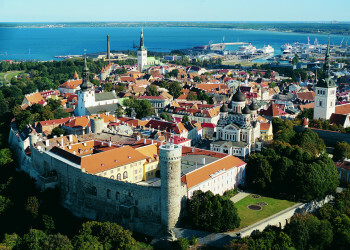 So, we will visit three Nordic capitals and spend two nights at crazy party boat! The SU of AEGEE-Firenze will visit the stunning Tremiti Islands. This year we organize the TSU in collaboration with AEGEE-Foggia, a young antenna, but full of energy. Our TSU will start on 19 July in Firenze and will finish on 3 August in Puglia. Firenze, Siena, Fiesole, Chianti-shire, Foggia, Vieste, Gargano coast, Tremiti islands.